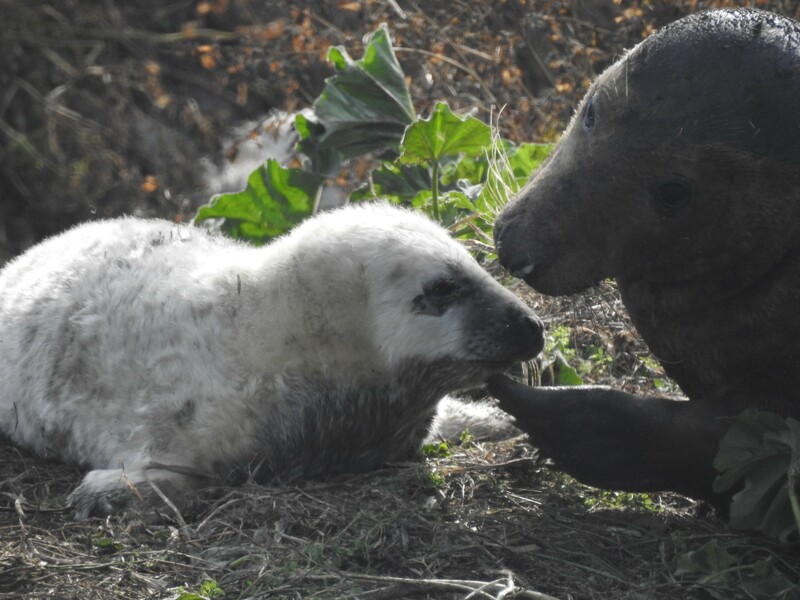 Seal season continues with over 60 pups having now been born around our cameras on the May. Some of the eldest pups (around 3 weeks) have already began to moult, leaving tufts of their old white fluffy pelt blowing across the beach. Pups are first white in colour as traditionally they would have been born on ice. Although that isn’t the case today, the pups in the Forth have very few predators and therefore camouflage isn’t as necessary. The Craigleith colony continues to do well with 14 pups being spotted on our last camera count. No more live births, however some of the newer pups have continued to be named by visitors such as “Postman Pat” who we welcomed into the world last Friday. A handful of gugas remain on the Bass and we continue to see juveniles fledging daily. There are still one or two chicks who have a few weeks longer to wait, but if they continue to be fed by their parents they should make it to fledge. Both a male and female peregrine were spotted on Fidra sitting very close to one another, this was a point of interest for visitors as it allowed them to really see the distinctive differences such as size and colour between the two. Keep up-to-date with the wildlife action with our webcams.